Here is part three to Zane Lowe’s exclusive interview with BBC’s Zane Lowe. 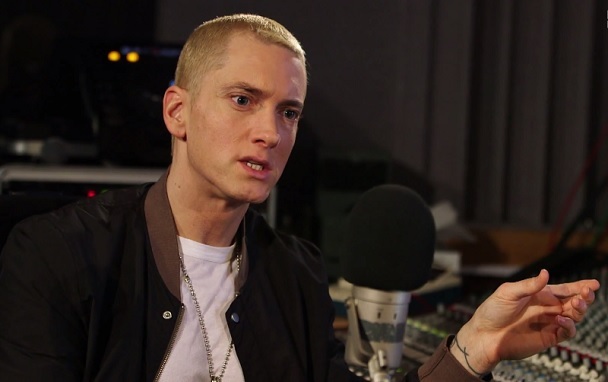 Check out Eminem as he clarifies he didn’t want to make Recovery 2 and really wanted to deliver a project that sounded different than his last. The rapper spoke on how his collaborative EP, Bad Meets Evil, with Royce Da 5’9″ came together and how the freedom of the project would eventually inspire his creative direction on TMMLP2. Slim Shady also gets into details on his Kendrick Lamar assisted song, “Love Game” and points out he wanted to give fans something they wouldn’t expect. Part three concludes with Zane and Em discussing how “Headlights” came together. This entry was posted in In The Studio, Interview, Video and tagged BBC, eminem, hip hop, Interview, MMLP2, pt. 3, Radio 1, rap, slim shady, zane lowe. Bookmark the permalink.